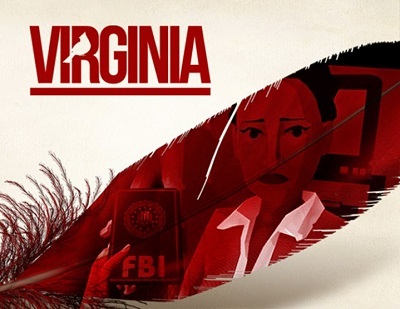 Virginia is an interactive film made in the style of a dark investigation without a single word. You are given the clues, clues, images, from which you have to put together the entire sequence of actions and finally find out what is behind the terrible events in a small town somewhere in Virginia. A young FBI agent arrives in the small town of Kingdom to investigate the disappearance of the boy. During interrogations of local residents and strange events, she is to find out the motives of all the participants in the crime and find out about herself in the process. In order not to be alone with dangerous and frightening circumstances, Anna Tarver is working with her partner Maria, who can help at any second. You have to figure out what the hell is happening in the town of Kingdom, and find out the fate of the missing boy. And all this - without a single spoken word. - An exciting detective. Follow in the footsteps of Agent Cooper and immerse yourself in the thick atmosphere of a cinematic thriller from the first person with eccentric characters, curious riddles and unexpected turns. - Full immersion. The distinctive graphic style and fascinating soundtrack by Lyndon Holland will take you to the streets of one-story America and make you feel like a character in an action-packed series. - Cult ancestors. If you are a fan of detective stories in the spirit of the old school series and The Real Detective, then you will definitely like the plot and interesting visual solutions that convey the suspense and excitement of searching for the truth in this confusing story.